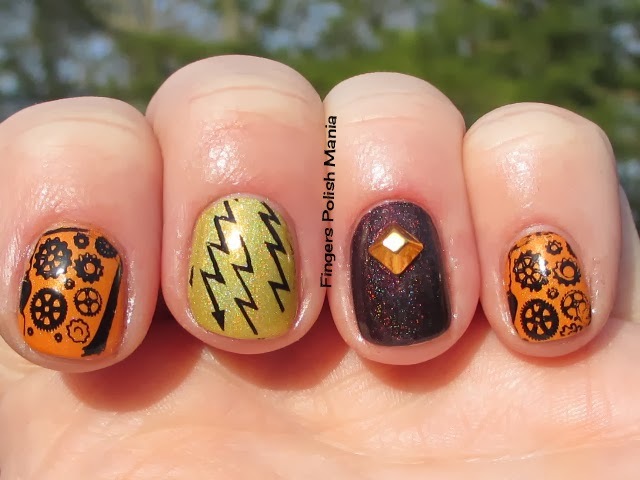 I decided I wanted to do another post to mess with the people paying too much for Enchanted Polish on Ebay. I just happened to be one of the very first people buying her polish when she started and saw something special and bought up most everything she made except the pinks. Damn me for that! 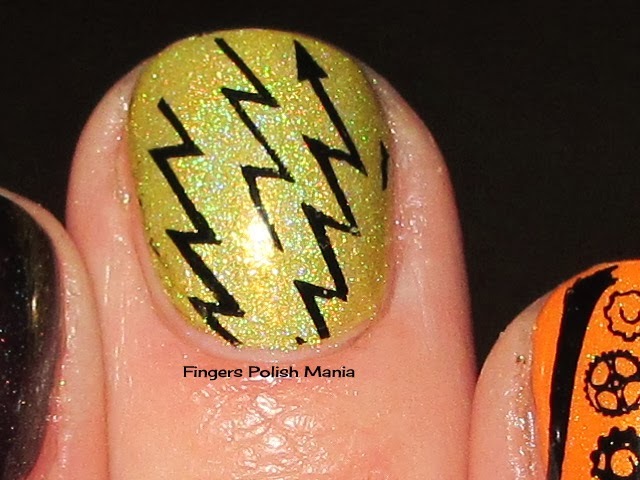 I had no idea of the frenzy that would be created with these holos. I just think they're pretty and have no plans to sell them anytime soon. I plan on working to get the ones I am missing. So if you have any you don't want, please let me know it may be one I'm looking for! I finally broke down and ordered a Sensationail starter kit. I just broke another nail and I'm so tired of this that I have to try something drastic. I ordered the french mani one because it has a sheer pink to it. I may not even use the pink, I may just use the top coat and do a clear gel mani. My plan is to have the layer of gel on to help my nails grow and to protect them from breaking. I will then do my normal polishing on top. 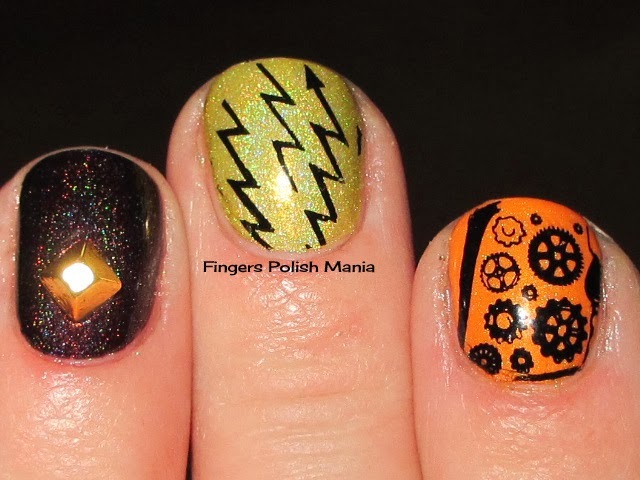 As long as I don't use acetone I should be ok to try this out. They normally sell for $60 but I found one for $32 and thought that would probably be the best price I was going to get. I will let you know when I get it and try it out. I just hope it helps. Oh wait-that's my collection of Enchanted Polish holos. Count em up peeps-I have 67 so far! Aren't they gorgeous? The ones on the bottom row in the big round bottles are the originals. 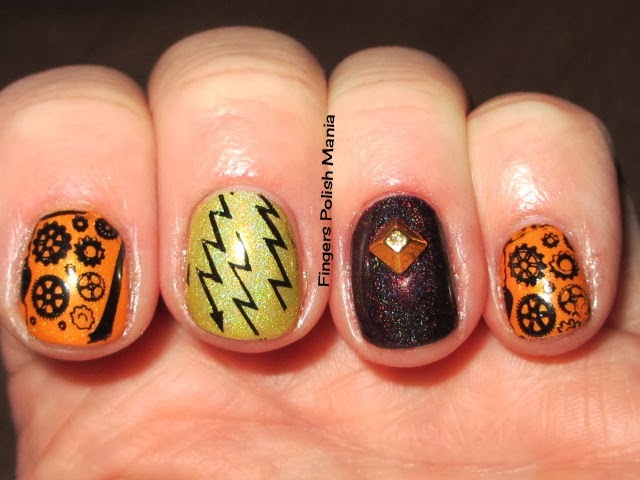 This is Enchanted Polish Sparkling Red Wine, Yellow Submarine and Citric Acid Trip. My very first EP post was with Citric Acid. 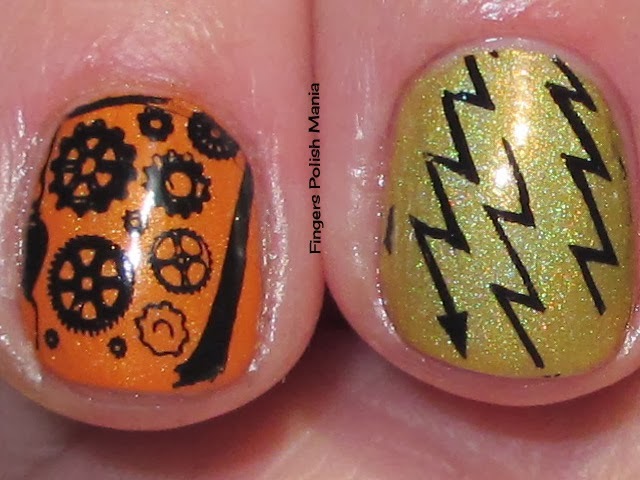 I decided to revisit this gorgeous orange! 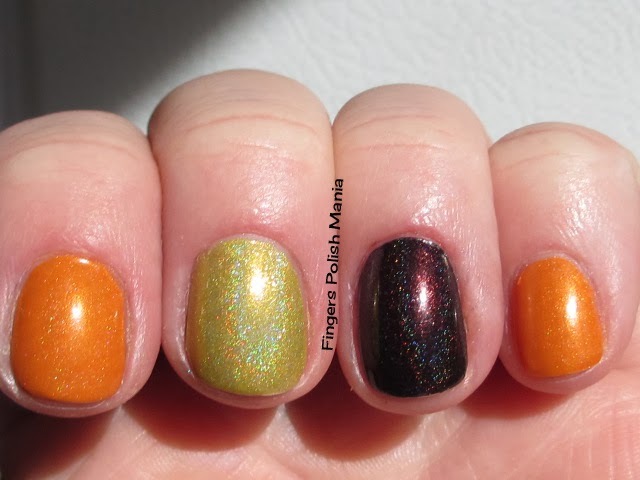 The Citric is not a strong holo, but it sure is awesome! 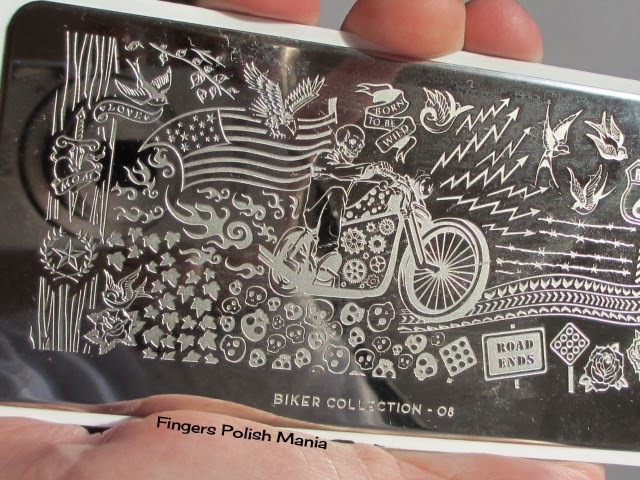 I next stamped using MoYou Biker 8 plate. Here are the results. 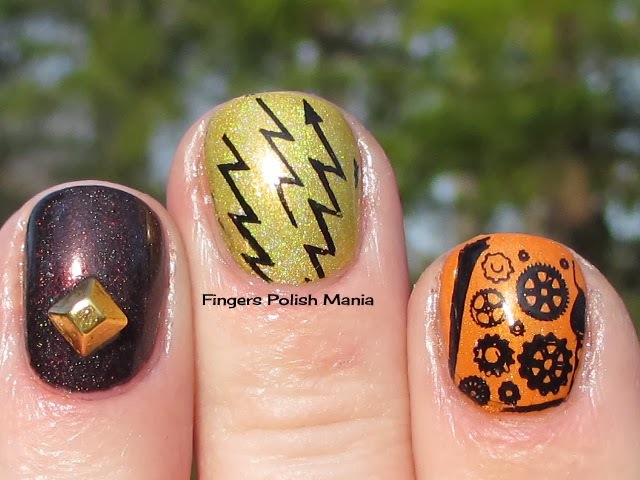 I had seen this steampunk mani on IG but with what looked like watch innards. It was so cool. This stamp reminded me of that. Look at the motor of the motorcycle for the part I used as well as above the tire. How cool is this? Have you tried Sensationail or gel underneath your mani? Did it help?